Here we celebrate our amazing Vizslas that we have shared our lives and home with over the years. Find more information by clicking on their photos below. Pictured are our original three, Halo, Indy, and Karma. They each took us on a different path. Halo, the show ring stunner; Indy, our biddable bird dog; and Karma, our all around athlete that introduced us to agility. 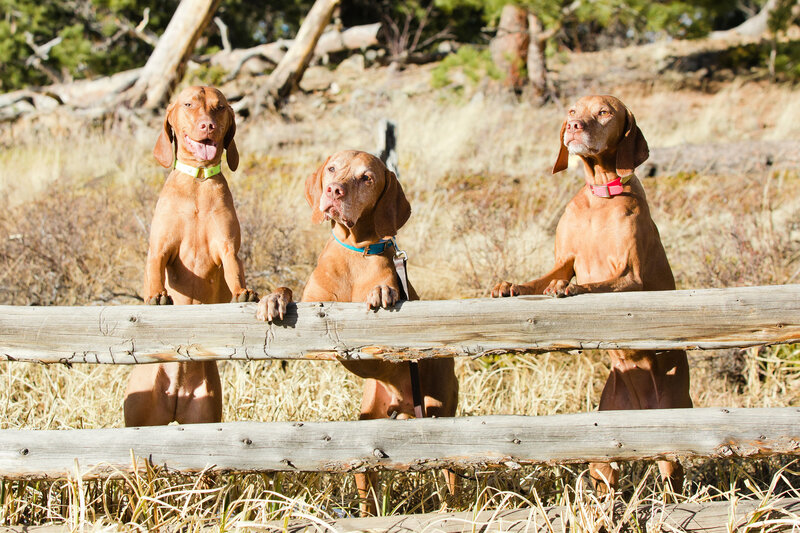 Since 2004, these are the amazing Vizslas, with whom we've been blessed to share our lives! The sweetest boy in the history of the Universe. A tail that never stops wagging and a love for all people and food. Drop dead gorgeous and knows it, our little Ms. Perfect.